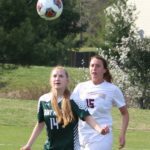 MILLTOWN — Maddie Schepers continued a blazing-hot start to her high school soccer career, scoring three times as St. Mark’s defeated Catholic rival St. Elizabeth, 4-0, on April 10. 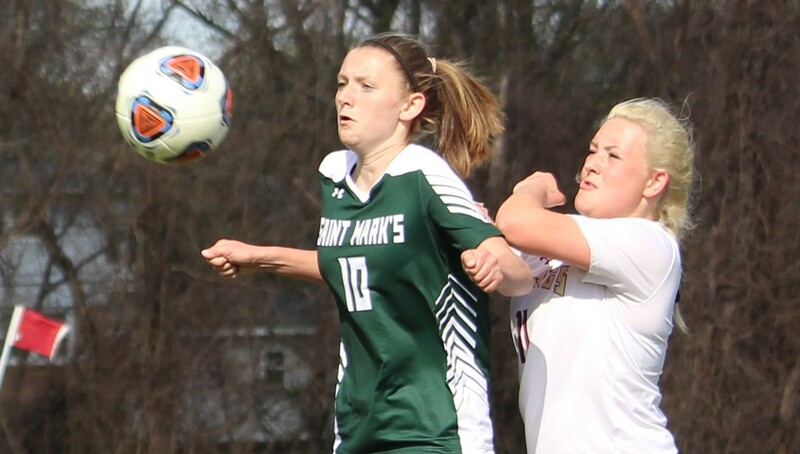 The Spartans have won four times, and the freshman has hat tricks in every one of them. 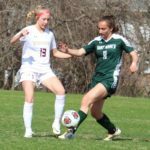 The Spartans were in control from the get-go, but finding the net proved elusive for more than 20 minutes of the first half. 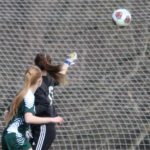 St. Mark’s picked up its first shot in the second minute, but St. Elizabeth goalkeeper Kylee Bowen made a diving stop, the first of her many impressive saves on the afternoon. 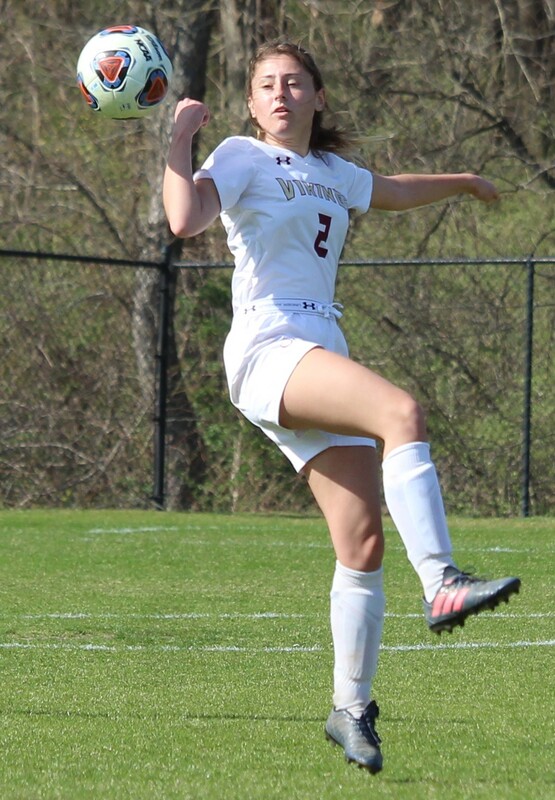 A second quality shot came in the ninth minute off the foot of Erin Gebhardt, but Bowen got a hand on the ball, which clanged off the far post. 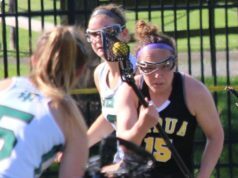 Schepers may have done three-quarters of the scoring for the Spartans, but she wasn’t the first. 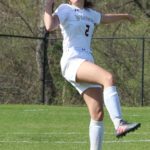 After being stopped by Bowen in the 21st minute, Taylor Sparks took a long pass from Ciera Fowler and got behind the Vikings’ defense. 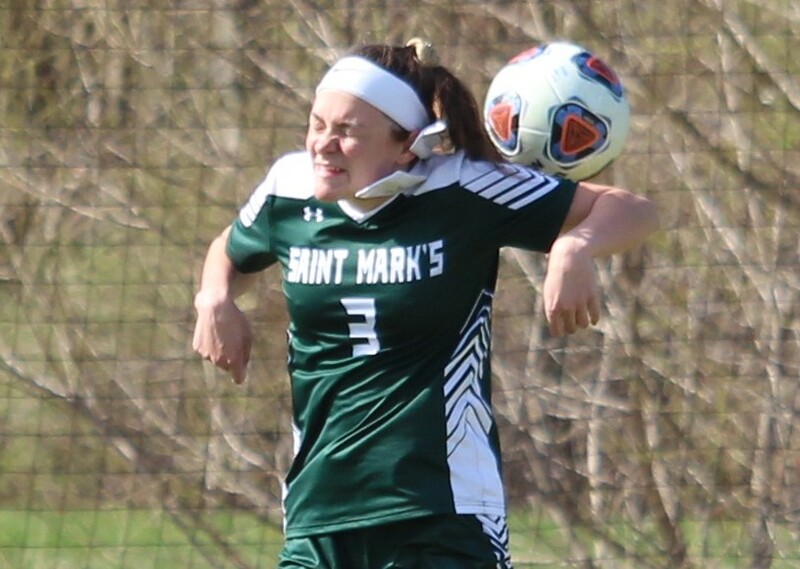 She chipped one high over Bowen’s head for the 1-0 St. Mark’s lead in the 23rd. 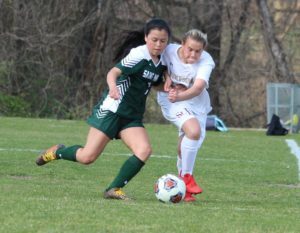 The Spartans — who debuted their new home uniforms — nearly added to the lead with five minutes to go in the half, but Bowen sprawled to her left to keep the score 1-0. 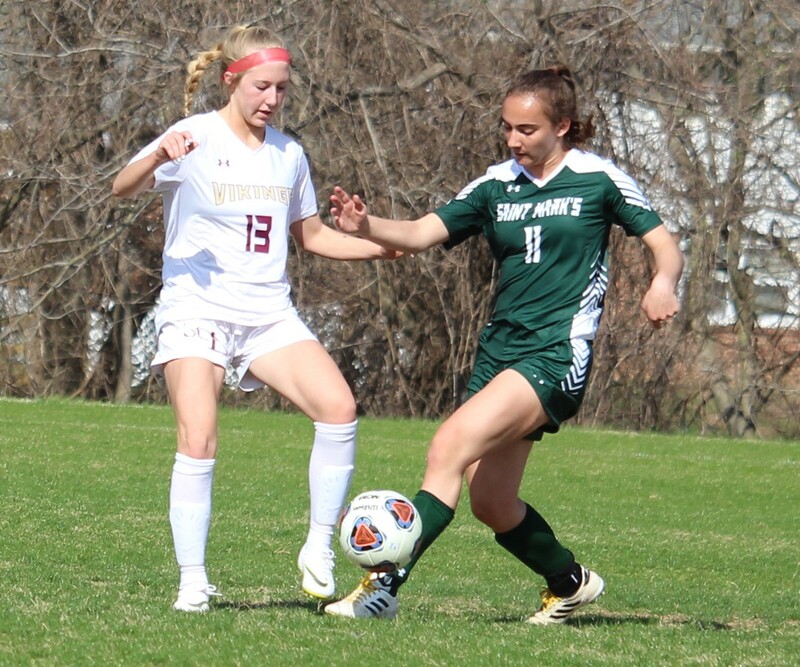 She was not as fortunate on the Spartans’ next possession, as Schepers fought off a defender and scored from 15 yards out. 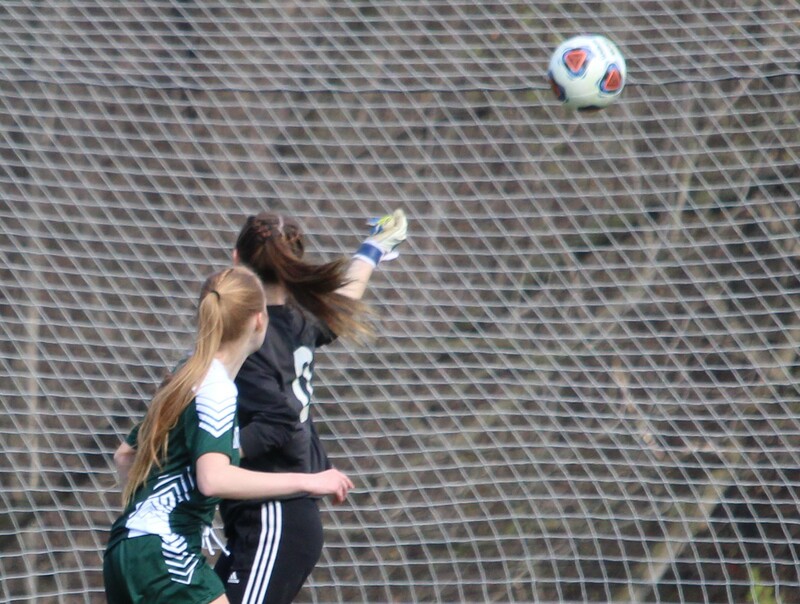 Bowen’s strong play continued into the second half, as she deflected a Schepers offering over the net early on. 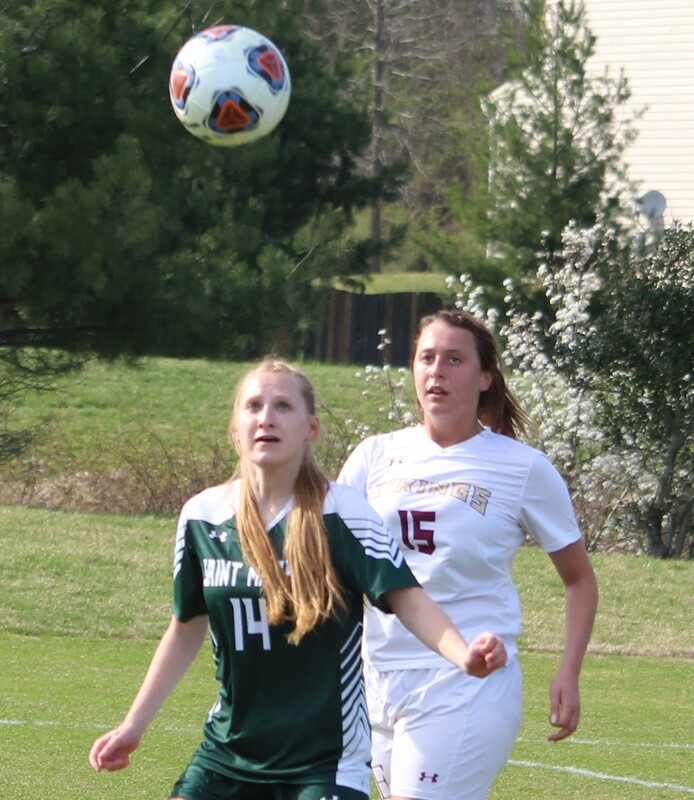 In the 50th minute, however, Schepers was on the receiving end of a goal kick from Spartans keeper Serena Pluta, and this time no one was able to stop her shot. That made the score 3-0. Schepers completed the scoring for the day in the 59th, taking a pass from fellow freshman Kelly Barker at the top of the 18-yard box and going high. It was Barker’s second assist. St. Mark’s bids for additional scoring was foiled by Bowen. 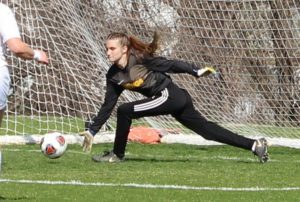 She added another diving stop in the 60th, then stoned Schepers one-on-one with a left-arm save in the 61st. 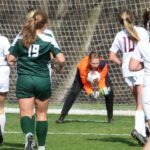 Pluta stopped all five Vikings shots for her third shutout of the year. The best opportunities for St. Elizabeth came from Ellie Rock and Kate Mattson, both midway through the first half. 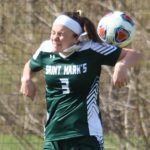 St. Mark’s finished with 16 shots and five corner kicks. 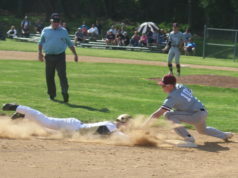 The Spartans (4-1) travel to undefeated Archmere on Friday for a 3:45 p.m. start. 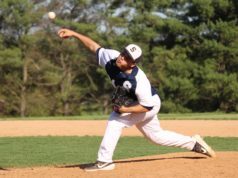 Bowen finished with 12 saves for St. Elizabeth. The Vikings (1-4) had five shots and three corners. Their next game also is at Archmere; they meet the Auks on Monday afternoon at 3:45. 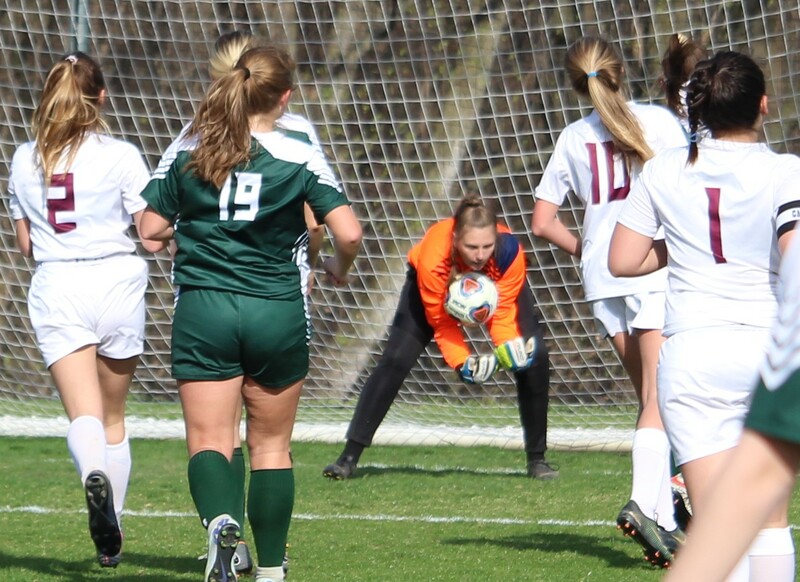 Taylor Sparks watches her shot go over the keeper and into the net. 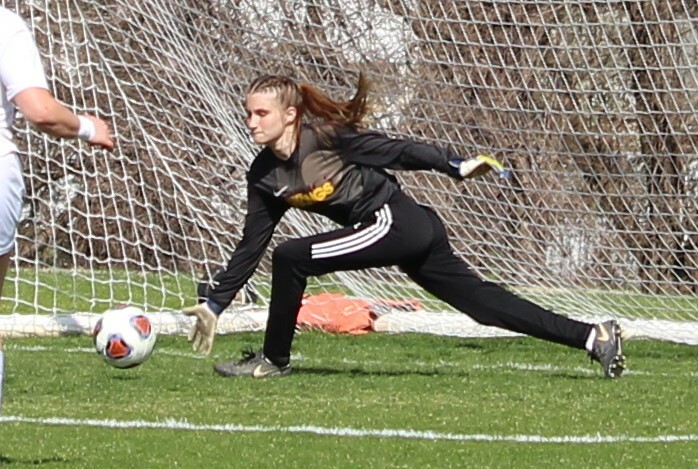 Serena Pluta was perfect in net for the Spartans.